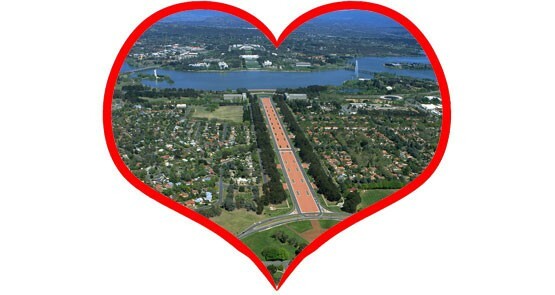 Canberra: dream city or nightmare? Come on Crikey readers. Tell us what James Packer and Ron Walker were laughing about as they boogied it up at the Australian Grand Prix this weekend. 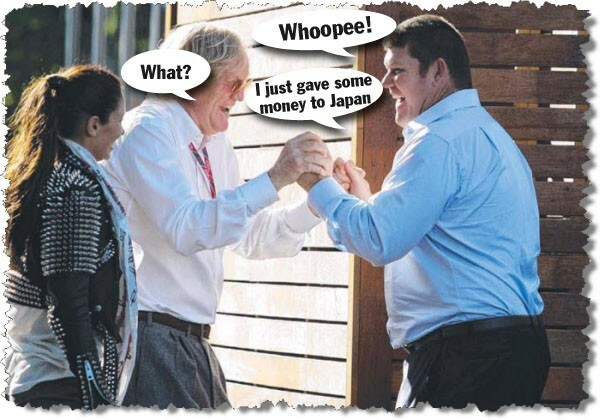 Surely it wasn't really because Packer made a donation to Japan...? Our Crikey Election Contest can match the election proper for being described in cliches. The outcome is a real cliffhanger. 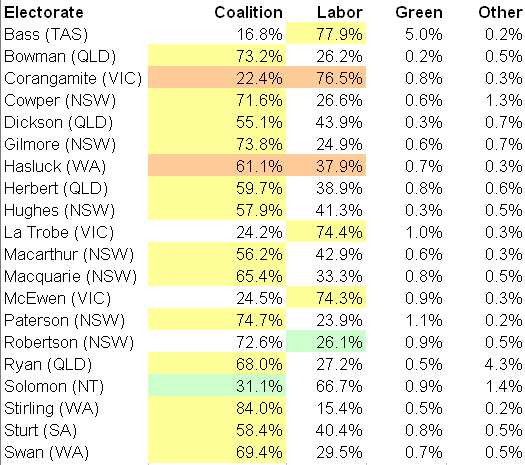 Think you can predict when the Federal Election will be held? Email Crikey and you have a chance to win! There's nothing like a good old fashioned leak to try and take the heat out of an embarrassing political issue. 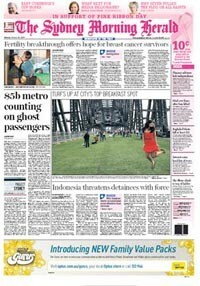 Plus, another matey Labor scandal and pick the Newspoll result and win some First Dog on the Moon socks. 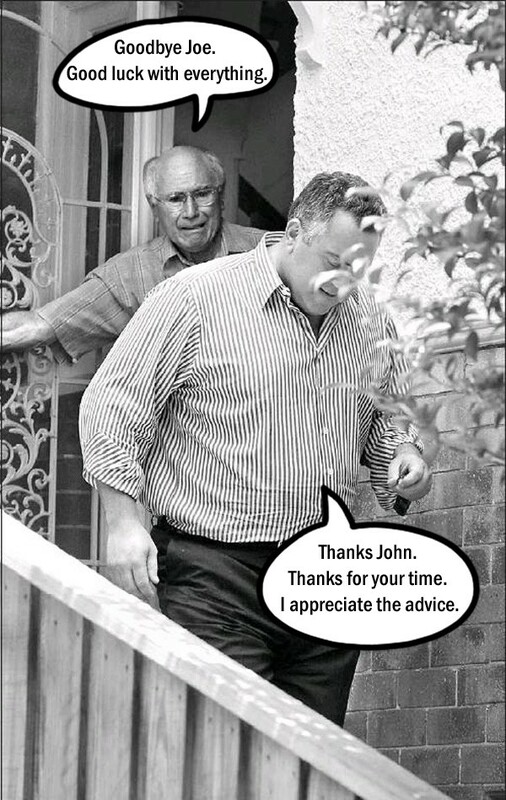 On Monday we launched the Crikey Caption competition for an amusing photograph of Joe Hockey leaving John Howard's house. Too bad all the entries were terribly unfunny. Today is Pink Ribbon Day, and Crikey is on the look-out for the most egregious and shamless examples brands engaging in a spot of "pink washing". Join us! In a cheesy display of self publicity, Brendan Nelson bid his supporters farewell by standing on the side of the road with a hand drawn "Thank You" banner. Time for a Crikey Competition: write your own Brendan Nelson banner! The ABC's month of Respectember is so fine that we're continuing with Fuckofftober. Send us a photo of you or yours wearing our Fuckofftober t-shirt while at the ABC and you could win BIG.